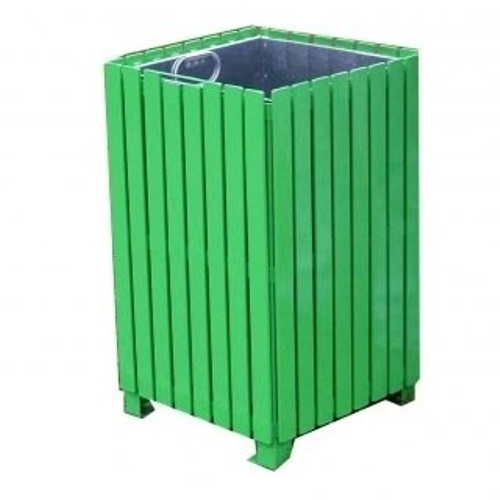 The Anti-Vandal litter bin is based on our square slatted litter bin, but in place of timber slats, features galvanised steel slats welded onto a galvanised steel frame. 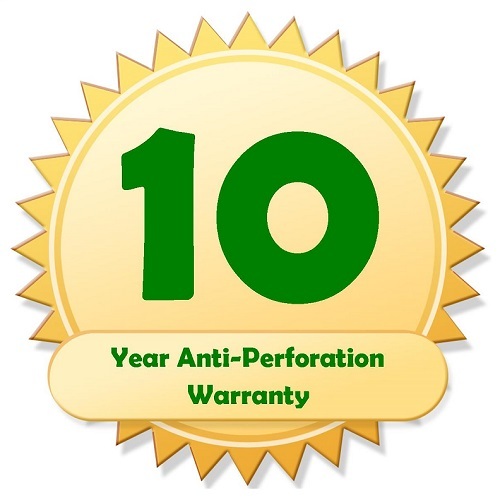 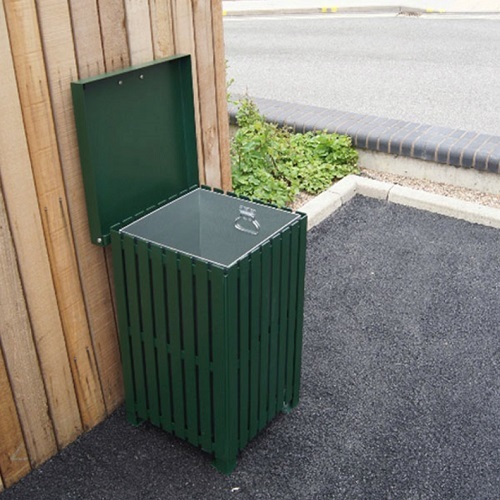 This creates a heavy duty litter bin that offers excellent strength and durability and this makes it ideal for locating in areas that pose a higher threat of vandalism, such as schools, colleges, parks and green spaces. 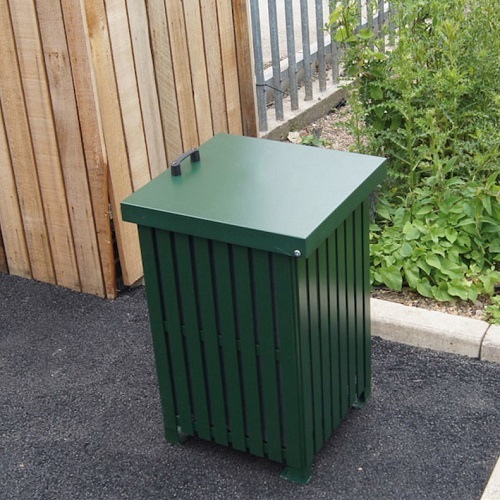 A galvanised steel liner collects the litter and lifts out for easy emptying and for added security and also to keep rain out, an optional galvanised steel lid is available. 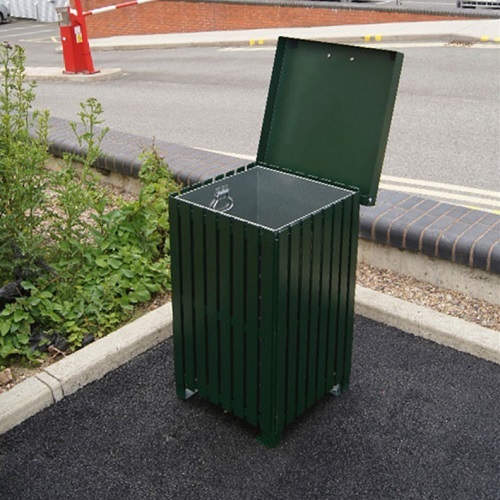 An optional locking bracket is also available to secure the liner to the bin and prevent unauthorised personnel from removing the liner. 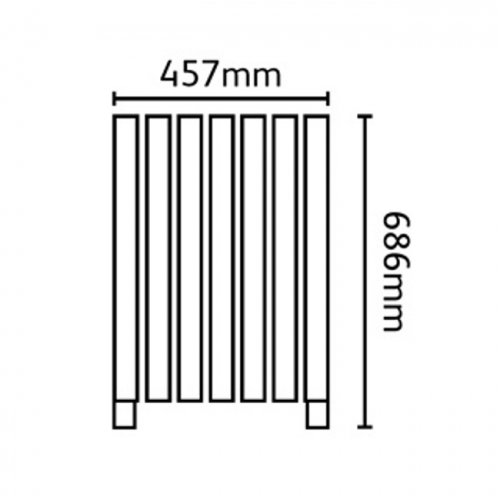 The bin features a frame and slats powder coated in one of our stand colours. 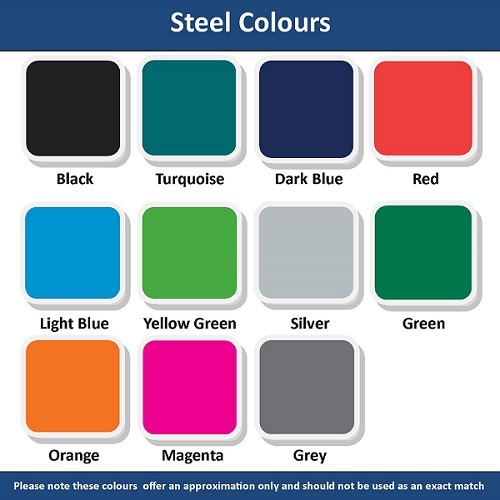 If you require a colour that is not among our standard colours, please give us a call as other colours may be available upon request. 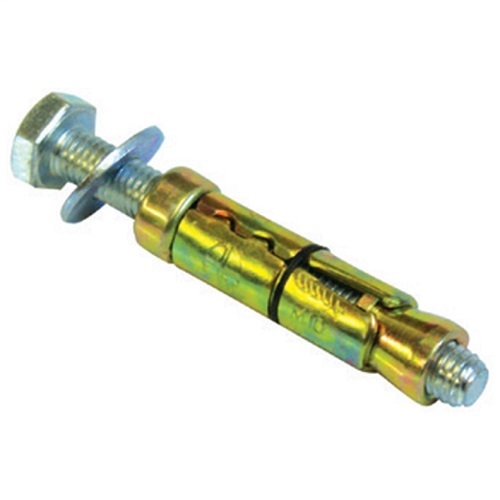 The unit is supplied with a pre-drilled base and can be securely bolted to the ground using the optional set of 4 RAWL bolts.